It's been two years since I visited Saigon but I still have fond memories of the place. Getting there is cheap and there are so many budget accommodations to choose from and for those who are looking for nice hotels where relaxation and comfort is a priority, you'll never ran out of choices as Saigon has been a favorite destination for most travelers. 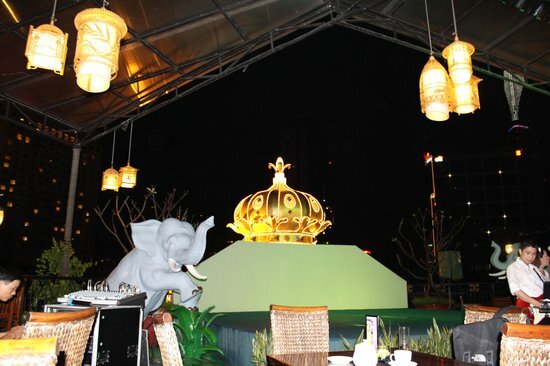 Rex Hotel Rooftop Bar is one of the many choices if you're looking for a night life in Saigon. It's considered one of the legendary hotel bars in Saigon. It is always a pleasure to spend a night life in Saigon especially to Filpinos as there are lots of Filipino band players at Saigon. Most of them are performing on the well known hotels in the city and it's so amazing that lots of foreign tourist and locals as well are having a great time listening to this Filipino bands. Those acoustic singers that I've seen are really awesome performers. I wonder whether they are using fender dg-8s acoustic guitar value pack at wwbw as they really play good music. Live bands operate from 8PM to 11 PM with no cover charge as their drinks are considered expensive. The place is open for 24 hours although the best time to go there is during sunset as you can have the magnificent view of Saigon at night. I think 6:30 PM is just nice as you can listen to the live band right after your dinner. This way, you can get the best view and awesome entertainment. You can visit Rex Hotel Rooftop Bar at 141 Nguyen Hue Blvd District 1, Ho Chi Minh City, Vietnam.